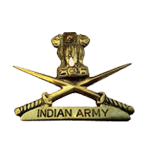 ORIGIN: During the World War I from 1914 to 1919, the British Indian Army fought in various theaters of war like North Africa, Italy, Europe in the Western Theatre and Burma, Malay, Japan in the Eastern theatre and contributed its might in the defeat of Germany and Turkey. Most of the Indian soldiers were of rural background and were deployed on war time duties far away from homeland. The long absence of the soldiers from their homes and inadequate communication system of those days created a restive situation amongst soldiers and a need was therefore felt to keep morale of the troops high, was felt by the then British Government. The Indian Soldiers Board (ISB) was formed at the end of World War I in 1919 to look after primarily welfare of the families of the serving soldiers. 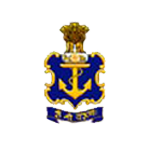 Later on with the expansion of the Royal Indian Navy and Royal Indian Air Force, the Indian Soldiers Board was given the additional responsibility of looking after the welfare of families of Naval and Air Force Personnel too. Hence, the name of the Board was changed to Indian Soldiers, Sailors and Airmen Board (ISS&A B) at the State level. At the district level District Soldiers, Sailors and Airmen’s Board (DSS&A B) at District headquarters were created. At the end of World War II in 1945, demobilization of Indian troops took place. Considerably large number of service personnel were released after short service in the Defence forces. For the resettlement of these demobilized soldiers, employment Exchanges were assigned the responsibility in all the District Headquarters of the country. The responsibility of looking after the welfare of these demobilized soldiers was given to Soldiers, Sailors and Airmen’s Board in addition to the welfare of serving defence personnel and their families. Indian Soldiers, Sailors and Airmen’s Board was made responsible to lay down the policies for the welfare of the Ex-servicemen. It was also given the responsibility to advise the Central Government on matters relating to welfare of Ex-servicemen. The District Soldiers, Sailors and Airmen’s Board was asked to look after the welfare of Ex-servicemen at District level and to give effect to the policies laid down by Indian Soldiers, Sailors and Airmen’s Board and State Soldiers, Sailors and Airmen’s Board. EVOLUTION: Before the formation of integrated State of Andhra Pradesh in 1956, the Andhra State Soldiers, Sailors and Airmen’s board was functioning as a Government Organization. In the erstwhile Hyderabad State, the Hyderabad Central Soldiers Board was functioning as a Non Government Organization with a full time Secretary. At the District level before the formation of Andhra Pradesh State, the District Soldiers, Sailors and Airmen’s Boards were functioning in ten districts of Andhra region viz., Anantapur, Chittoor, Cuddapah, East Godavari, Guntur, Krishna, Kurnool, Nellore, Visakhapatnam and West Godavari under the control of District Employment Officer who functioned as Secretary of the the DSS & A Board. Consequent on the formation of Andhra Pradesh State on 01 November 1956, Government issued orders in GO Ms No.120, Home(Labour V) Department, dated. 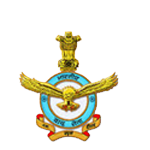 19-01-1959 integrating the above two organizations into a single organization as Andhra Pradesh State Soldiers, Sailors and Airmen’s Board. The Deputy Director, National Employment service was nominated as Secretary of the Board. Thus, the Secretary of Board was only an Ex-Officio post but not a full time Secretary. After constitution of integrated Andhra Pradesh Soldiers, Sailors and Airmen’s Board, the Central Soldiers Board functioning in the erstwhile Hyderabad State was made as District Soldiers, Sailors and Airmen’s Board for Hyderabad District and the Secretary was continued as full time Secretary of the District Soldiers, Sailors and Airmen’s Board, Hyderabad District. The District Soldiers, Sailors and Airmen’s Board functioning in the Andhra region were continued as District Soldiers, Sailors and Airmen’s Board of their respective districts. The integrated Andhra Pradesh Soldiers, Sailors and Airmen’s Board was initially under the control of Commissioner of Labour. Consequent on the formation of Separate Department of Employment & Training, the control over the Andhra Pradesh State Soldiers, Sailors and Airmen’s Board was transferred from the Commissioner of Labour to the Director of Employment & Training. The Deputy Director Incharge of the Employment & Training was nominated as Ex-Officio Secretary of the Board . The District Employment Officers of the respective districts were continued as Ex-Officio Secretary of the District Soldiers, Sailors and Airmen’s Board. Till the Chinese Aggression in 1962, the Soldiers, Sailors and Airmen’s Board Organization had a limited role to play. Between the II World War and the Chinese Aggression period, the strength of Armed Forces increased gradually in strength. After the Chinese Aggression, there was rapid and sudden expansion in the strength of the Armed Forces. Keeping the enhanced workload relating to welfare of Ex-servicemen and their dependents in view, Government issued orders in G.O.Ms No.676 of Home(Labour-IV) Department, dated.12-04-1966 making the post of the Secretary, Andhra Pradesh Soldiers, Sailors and Airmen’s Board as full time Secretary. On the advice of the Government of India, Government of Andhra Pradesh issued orders upgrading the post of the Secretary of Andhra Pradesh State Soldiers, Sailors and Airmen’s Board as Director of Andhra Pradesh State Soldiers, Sailors and Airmen’s Board. Consequent on the change of name of Indian Soldiers, Sailors and Airmen’s Board as Kendriya Sainik Board (KSB) in New Delhi and on the advice of Government of India, the Andhra Pradesh Soldiers, Sailors and Airmen’s Board has been renamed as Andhra Pradesh Rajya Sainik Board (APRSB) and the District Soldiers, Sailors and Airmen’s Board has been renamed as Zilla Sainik Boards(ZSB). In the year 1976, orders have been issued declaring the Director, Andhra Pradesh Rajya Sainik Board as Head of the Department. A High Level Parliamentary Committee under the Chairmanship of Brig (Retd) K.P. Singh Deo, Rajya Raksha Mantri was constituted in 1982 to rejuvenate functioning of RSB and ZSBs. The committee submitted a number of useful recommendations which have been mostly accepted by Government of Andhra Pradesh. This resulted in formation of Department of Sainik Welfare, Andhra Pradesh with Directorate of Sainik Welfare as an apex body at Hyderabad with 23 Zilla Sainik Welfare Offices i.e., one in every district with funding in the ratio of 50:50 by the Central Government and State Government. This dedicated and independent department exclusively sanctioned for providing welfare to the Ex-servicemen community has greatly enhanced efficiency and effectiveness of welfare delivery mechanism. The bifurcation of the Andhra Pradesh state into Andhra Pradesh and Telangana has left 10 Districts under the jurisdiction of Department of Sainik Welfare, Telangana. The districts in Telangana were reorganised into 31 by creating 21 new districts. However, this Department continues to function from the earlier 10 districts only. The Zilla Sainik Welfare Offices are renamed as the Regional Sainik Welfare Offices and look after the welfare activities of their respective regions. The Director General Resettlement (DGR), Ministry of Defence, New Delhi has the overall responsibility for resettlement of Ex-service Personnel including Officers, Disabled Ex-servicemen, their families, widows of Ex-servicemen and their dependents. The Welfare work including care and help required by Ex-servicemen, their families and the families of serving/deceased Armed Forces Personnel is undertaken by the KSB, New Delhi. The State Chief Minister and the State Ministers in-charge of resettlement of Ex-servicemen are members of KSB. At the State level, the Directorate of Sainik Welfare undertakes various welfare measures in respect of Ex-servicemen and their dependents of the State. The Department of Sainik Welfare functions under the administrative control of Home Department at the Secretariat level. The Department registers the names of Ex-servicemen and issues I.D Cards. Maintenance of employment registrations of the Ex-Servicemen and sponsoring their names to the various Government and PSU jobs against 2% reserved vacancies for ex-servicemen and is responsible for checking the rosters. Deficiencies in matters of reservation for ex-servicemen are brought to the notice of the Government. Process applications for cash awards / land, annuity and other concessions to the gallantry award winners. Process the applications for Financial Assistance to the families of the defence personnel killed / disabled. Financial assistance to the Ex-Servicemen and Widows of Ex-Servicemen for the following welfare activities. a) Financial Assistance for Tuition fee reimbursement. b) Financial Assistance for Hostel fee. e) Monthly Financial Assistance to Non pensioners. f) Financial Assistance to Disabled Ex-Servicemen. g) Financial Assistance to Disabled children of Ex-Servicemen. h) Financial Assistance to Orphan children of Ex-Servicemen. j) Merit Scholarships to Children of Ex-Servicemen. l) Processing the cases for “PAVALA VADDI” Scheme. m) Processing the cases for “INTEREST SUBSIDY” Scheme. n) Financial Assistance to Ex-Servicemen to fight Legal Cases. Sanctions War Jagir to the families whose son/sons serve in defence forces of the country. Organises Flag Day Fund collection and helps the ex-servicemen with aid. Organises rallies for ex-servicemen, with a view to listen to their grievances and to educate them about new facilities given to them. Assists ex-servicemen in resolving their pension issues or other service matters and to look after the war widows and wards of the battle casualties. Ensure that Reservation of seats in Education Institutions for the children of Armed Forces Personnel is properly implemented. Liaison with Central Government recruiting agencies. Liaison with DESW, DGR, KSB, various organisations of the Defence and other departments of Government. Holding of Rajya Sainik Board (RSB) and State Managing Committee (SMC) meetings. Constitution of Zila Sainik Boards.